The Raspberry Pi Foundation has released two new boards for automation and IoT: Raspberry Pi Compute Module 3 (CM3) and a lite CM3L version. These new boards target companies that require low-cost hardware that’s easy to install and use to automate processes in manufacturing and industry. The number of single board computers developed by Raspberry Pi keeps increasing. The first Compute Module launched in 2014. 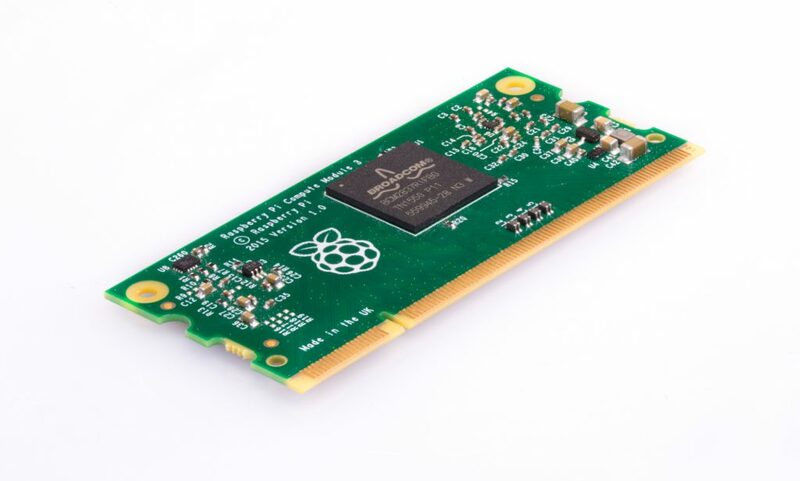 Raspberry Pi Compute Module 3 is equipped with a BCM2837 processor that runs at 1.2 GHz. Raspberry Pi 3 uses the same processor, which is 10 times faster than BCM2835 processor employed by the original Compute Module. The system offers 1 GB of RAM memory. CM3 can store 4 GB of data on an eMCC flash drive located on the board. The price of CM3 is set to US$30. Raspberry Pi dropped the price of the original CM to US$25. The lite version’s processor and RAM are the same as the standard CM3. The storage, however, differs and the lite version lacks an on-board storage module. Hence, a user needs to rely on either a SIM card or connect to an external eMMC. The lite version costs US$25. Raspberry Pi quietly also released an upgrade to the interface board CMIO3, which is used to manage one or more compute modules. Developers can program various parts of the system including the flash memory. CMIO3 also acts as a power source. It works with both the two new versions of Raspberry Pi Compute Module 3 as well as the original compute model. The third version of the IO board costs US$137.